I grew up in a strong union family. I have the same sense of appreciation for how unions like ALPA are run. 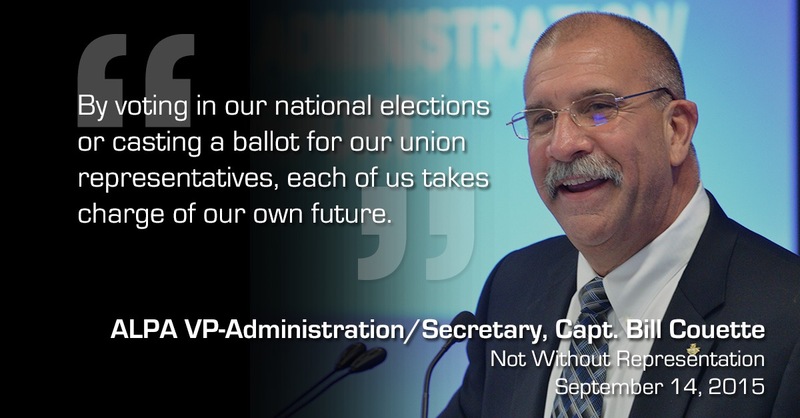 In fact, as ALPA’s vice president–administration/secretary, I don’t think many people are more involved than I am in the details of our union’s democracy. Our union is rooted in fair elections and, as I tell almost everyone I meet, it is everyone’s responsibility to vote.